IPU CET LLB is one of the most popular exams for law students. In the post, we have enlisted top Law Colleges in India accepting IPU CET LLB score. The list is the comprehensive list of top ten Law Colleges in India. The list has been prepared by our annual ranking, rating exercise and user feedback. The survey which we have conducted to find out the top law college is based on factors like quality of students, research output, industry interface, refereed publications and academic productivity. The colleges to which the CET score applies and which give admission on the basis of CET score are discussed as follows. The college also provides an opportunity to its students to take part in moots and debating events. The overall curriculum is designed in a way that the college produces socially aware citizens who want to use their legal education to bring about a positive change in the society. The college was inaugurated in 2004. The eligibility criteria are such that the students from the non sponsored category should have obtained 60% and those of whom who are seeking admission in the sponsored category should have obtained a minimum of 55% marks in grade XII. The students get duly rewarded for their merit and the college gave away a sum of 50 Cr towards scholarships. The placement cell is active and works towards getting its students good placements in large numbers. The institute provides 5 year integrated courses in BA.LLB and BBA.LLB. The eligibility criteria is that the students should have obtained 50% marks in grade XII and should have passed the grade XII English exam. 85% of the law seats are reserved for those who have appeared in the qualifying exam from Delhi and only 15% seats are for those who are from outside Delhi. The college students with some help from the teachers are provided with the opportunity to run a legal aid cell which provides free legal aid to the poor. There is fee exemption for meritorious students and for those who belong to the economically backward sections of the society. The students do not need to go to tuitions and are helped by teachers who take extra classes after college hours for weak students. There is a book bank which provides books to students free of cost. There is an e-library along with the usual library. The usual library has over 10,000 books and e-library provides the students access to Manupatra, Grand Jurix, AIR Supreme court records and a Telnet membership all of which help the students when they start working. The students get an opportunity to showcase their talent not only in academics but in the various clubs for theatre, art, writing, dancing, singing, quizzing, debates, Model UN and sports. The vision of the college is that one's character should be built and one should do his bit for the nation. The college is on the path to success with this vision of character building and nation building. The classrooms are state of art and have LCD projectors and other audio-visual aids. There is a separate library for the legal department with around 7000 books and national and international journals. The entire campus is Wi-Fi enabled and there is a computer lab which can accommodate 100 students at one time. The college organizes a moot court competition every year and has a AC moot court hall. This event helps students get an experience which comes closest to the experience of a real-life court case. There is a conference room with a space good enough to accommodate 60 students at one time. The room is comfortable and air-conditioned. The teaching method is an impressive combination of classroom lectures by faculty as well as scholars in the field. There are various seminars and conferences by guest faculty. Students get a chance to have one on one interactions with the staff and that combined with brainstorming sessions and quizzes make for effective learning. What adds to learning is the extracurricular activities like cultural events and sports events. The students can share their grievances with the staff with the help of the grievance redressal committee. The placements are taken care of by the placement committee. 5.Fairfield Institute of Management and Technology, New Delhi The college provides a five-year integrated program in BA.LLB and BBA. LLB. The best part about the college is that it ensures the students get good placements. The college conducts placement drives many times during the year and has an entrepreneurship development cell which tirelessly works with the aim that the students get placed. The cell conducts guest lectures, seminars and also one on one interaction between students and employers. 6. MS Engineering Management Technical Campus-School of Law, Greater Noida. The college offers a five year integrated BA.LLB and a BBA.LLB course. The eligibility is 50% marks in grade XII. Along with that, it is essential that one has cleared the English exam in grade XII. The teacher and student ratio is such that each student gets proper attention. Technocrats and industrialists are invited to the college to give a talk to the students about career avenues available post legal studies. The college is second to none when it comes to extracurricular activities such as moot court competitions, debates, client counselling events, legal aid camps and model UN. The college provides a five year BA.LLB course and a five year BBA.LLB course. There are 80 seats in the law college. The job potential in the legal field is high and the whole course is made in a way that it is market-oriented. But this is done keeping in mind that ethics and values do not get compromised. The infrastructure is great. There is a huge library and moot court hall, auditorium for seminars and a sports arena. The college offers a BA.LLB course and a BBA.LLB course. The total number of seats are 300. The eligibility is that one should have obtained 50% marks in the Grade XII exam and should have cleared the English exam. The college also takes its extracurricular activities seriously and there is a club for every hobby one can have. If I had to name a few clubs I would mention the music club, the dance society, and the theatre group. Besides these, there are also the environment protection club, the debating society and for the budding photographer in many students, there is also a photography club. 9.BLS Institute of Technology Management, School of Law, Delhi Rohtak Road, Bahadurgarh (NCR The college was established in 2013 with the aim to provide excellence in legal education and produce lawyers who do the nation proud. The college provides a five year long integrated course BA.LLB. The eligibility is a minimum mark of 50% in the grade XII exam and that one should have cleared the English exam in grade XII. The total intake is 60 and 10% seats may be filled under management quota. The most important feature of this college is that moot courts are taken seriously and the libraries are well stocked. Plus there are a legal aid clinic and personality development classes. The students are encouraged to take care of their health and for that, there is a well-equipped gym and yoga centre plus sports facilities and in case of health issues, there is all sort of medical facilities available. The seminars that are organized are high level and see a participation of researchers, academicians, international lawyers and judges, diplomats and people from govt. organizations and even that is not all. An example of a topic would be personal laws and uniform civil code. 10.Delhi Institute of Rural Development, Delhi This is one college of repute located in the North West Delhi. The college seeks to create not only good lawyers but also good human beings who are conscientious citizens. The message being sent out to students is that the future which beckons should be faced boldly and the law students should be able to keep pace with emerging trends. The teaching method involves personality development classes along with classroom teaching, case studies and group discussions. The entrance to its five year integrated courses of BA.LLB and BBA.LLB will also be done through CLAT 2017 scores . CLAT scores will be important as an alternative to the CET score. The eligibility criteria is 50% aggregate marks in grade XII. The campus is 100% Wi-Fi enabled, the computerized library has more than 6000 books and both national and international journals along with three different newspapers. The classrooms are all air conditioned and the conference hall has a LCD projector. There is a separate section for indoor games. The college promotes other sports as well.Moot courts are a part of the curriculum. 11.Sri Krishna College of Education, Baghpat The college offers integrated programs BA.LLB and BBA.LLB. The eligibility criteria is that the student should have obtained a minimum of 50% marks in Grade XII. The infrastructure is very good and the whole campus is Wi-Fi. There is an excellent quality moot court room and the moot courts are an integral part of the curriculum. There is a computer room and a well stocked library. The sports facilities are good and there is a recreation room. To take care of the placements there is a separate cell which caters only to placements. The college also provides 20%-100% scholarships. 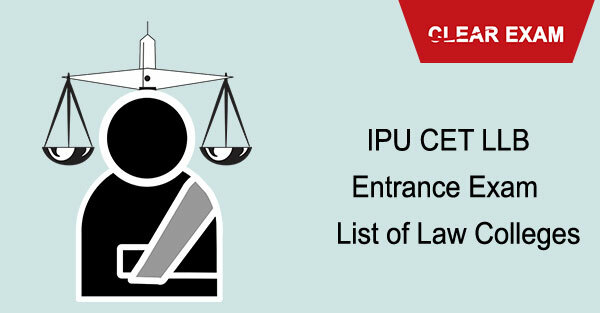 Check the list of Law Colleges in India accepting IPU CET LLB.